A reproduction of a six-year-old child, PediaSIM supports a wide range of clinical interventions and offers risk-free practice for pediatric clinical care. PediaSIM offers the integrated METI physiology in a smaller practice patient with full trauma features for both nursing and emergency response. PediaSIM’s anatomical features include responsive pupils, an articulated mandible, exhalation of air and CO2 and secretions from the eyes, ears and mouth. PediaSIM responds to clinical interventions including chest compression, pacing, defibrillation, needle decompression and chest tube insertion. 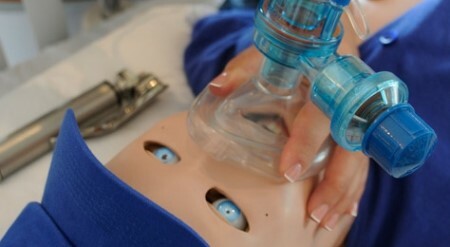 The PediaSIM’s airway management features enable learners to practice airway management in a safe environment. 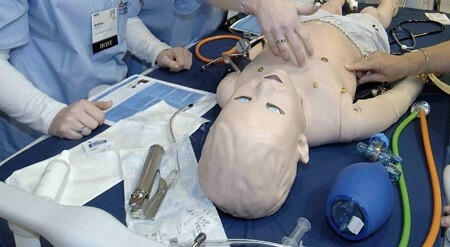 Airway trauma features include upper airway obstruction, laryngospasm and bronchial occlusion for practice of esophageal, nasal and oral intubation, BVM ventilation and needle cricothyrotomy. Choose between two platforms, PediaSIM HPS, designed for anesthesia, respiratory and clinical care or PediaSIM ECS, for medicine, nursing and health sciences. PediaSIM HPS is specifically designed for risk-free practice of anesthesia, respiratory and critical care. With true respiratory gas exchange, PediaSIM HPS inhales oxygen and exhales CO2, interfaces with real clinical monitors and responds to oxygen therapy. The optional anesthesia delivery system allows the lungs to uptake or excrete anesthetic gases. PediaSIM HPS also responds to drug administration with a unique Drug Recognition System that uses barcode technology. Simulated Clinical Experiences (SCEs) are now available for anesthesia, allied health, Pediatric Advanced Life Support (PALS) and PALS Europe. The PediaSim HPS can also be utilized as a plug-and-play addition to an HPS system. PediaSIM ECS is specifically designed for medicine, nursing and health sciences. PediaSIM ECS allows physicians, nurses and paramedics to practice responding to emergency scenarios on a child-sized manikin. Designed from a body scan of a six-year-old patient, PediaSIM ECS has a realistic airway for practice of esophageal, nasal and oral intubation and needle cricothyrotomy. Based on validated models of pediatric physiology, PediaSIM responds automatically to clinical interventions and drug administration. 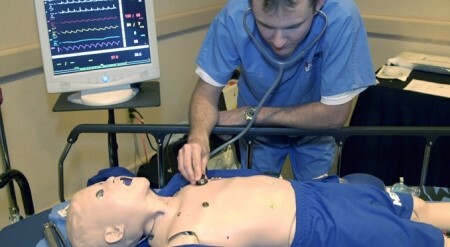 PediaSIM features six preprogrammed Simulated Clinical Experiences (SCEs) and integrates with CAE Healthcare’s Pediatric Advanced Life Support (PALS) learning module (aligned with AHA 2010 guidelines) as well as a Pediatric Emergencies module. 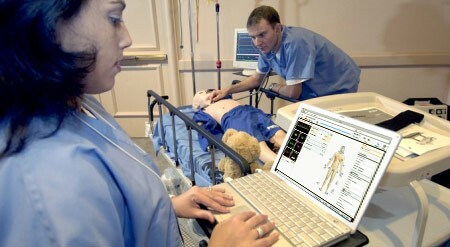 Each learning module contains evidence-based training scenarios designed to immerse learners in a clinical environment. The scenarios include learning objectives, facilitator’s notes, equipment and supply list and software application. 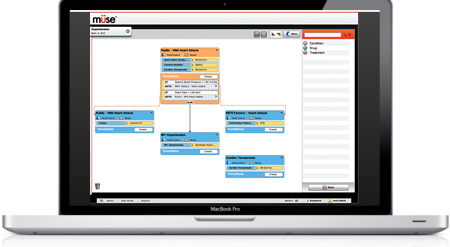 Operating PediaSIM is simple with the standard Müse interface. The dashboard features a patient image, conditions and medications, streaming data from clinical monitors, a menu of Simulated Clinical Experiences (SCEs) and a timeline. The PediaSIM’s physiology and SCE can be preset so an instructor can focus on teaching.